The clerical error in the mother-of-two's salary was eventually spotted and NHS fraud investigators called in, Swansea Crown Court was told. Jurors heard her pay was changed to reflect a switch in roles and increase in hours which never took place. Ms Hicks denied fraud by dishonestly failing to disclose to Hywel Dda University Health Board that she was receiving funds she was not entitled to between October 2014 and November 2017. 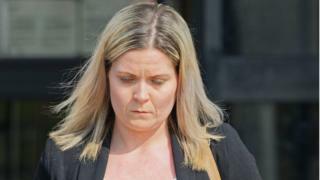 The jury heard the Withybush General Hospital nurse had a joint bank account with her husband before they divorced and she had not taken any notice of the statements. She also had a "lot on her plate" looking after the couple's daughters and being the sole carer for her aunt. The court heard when she handed her payslips to the fraud investigators they had not been opened. Summing up, Judge Keith Thomas said the jury had to decide if she was aware of the over payments, which they concluded she was not.